If you have ever used a program like iTunes, then you can use Zotero. Using the picture below as a guide, try adding some resources in your Zotero with the buttons along the top, or create subfolders by right-clicking on the "My Library" line. 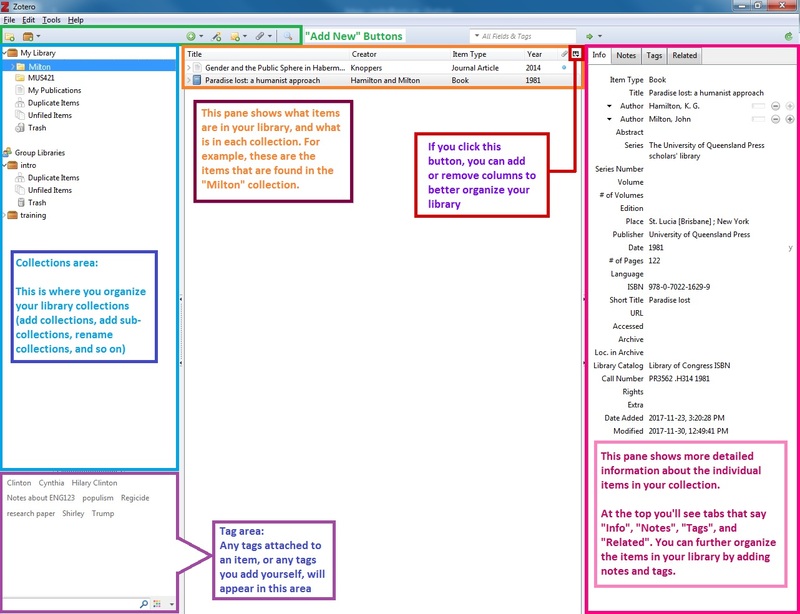 Click into your folders, add some notes, and get a feel for the software. When you're ready to learn how to do more in-depth tasks, go to our "Basic Zotero" guide. If you don't have Zotero downloaded yet, check out our handy guide on installing Zotero 5.0 Standalone and the Zotero Connector.